Sanjeev Sagar is a successful and highly experienced entrepreneur. From 1984 till date, he has taken the company to great heights. Today Agrosaw is known world wide because of Sanjeev Sagar’s professional competency and determination. The company’s motto “Perfecting Post Harvest” is a reflection of Sanjeev Sagar’s vision and leadership. 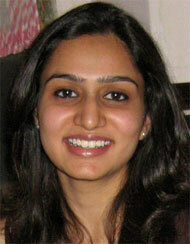 Akshita Sagar is a current generation entrepreneur who brings data driven technology in Agrosaw’s operations. Being an Engineer and a Business Management Graduate from London, Akshita gives a technology-driven leadership to Agrosaw.